Over the better part of an hour, the passages they walked moved from long and winding to short and narrow and back again, as Noel followed in the Mardraim’s every step, careful to tread precisely as instructed. Often, the way was steep and deeply polished with the centuries-old impressions of the countless Mardraim, who ascended the path before them. This made the travel somewhat easier, and at least as far as these areas were concerned, Noel was certain he would have little trouble finding his own way when the time came. But now and then, the darkness loomed deep around them, the light the old man carried dimmed, and it was difficult to see even Edward Frank just a step in front of him, let alone any outward sign of a trail. All Noel needed to firmly affix the elder’s warning in his mind was this not-so-subtle reminder from Moag, waiting at the edge of his senses, so close he was certain at times he might breathe in the very shadow of his own impending doom as he took care to do exactly as Master Frank told him, fearing any moment he would surely suffocate, his heart thronging against his breastbone. How Edward did not sense this ominous weight surrounding them was difficult to fathom, considering the old man’s penchant for empathy, but it seemed Noel’s gift was entirely unique—or perhaps not entirely. Noel flexed his fingers at the thought of Isabella, back in her tiny hut, remembering the anguish and fury in her exhausted eyes the previous day, when he turned up uninvited. He did not need to understand her words to know she blamed him for all of her suffering. Since Edward had expressed his concern for Isabella where Moag was concerned, Noel could not help but wonder if she suffered now, as he and the Mardraim moved so close to the monster that had nearly destroyed her. Though it made little sense, he found himself mentally reaching back through the mountain to her, retracing every step, until his thoughts lingered right outside her door, listening intently for any sign of distress. This was pointless, but somehow comforting, even if it was only his imagination at work. He had not needed to go seeking her out the previous day to know she was upset, but pretending this way gave him the sense that it was him, not her, who was in control—better to be the possessor than the possessee. But would her illness worsen because a part of her was still there with him? He only hoped Master Frank would know the way to undo the forbidden magic Isabella cast— for all of their sakes. At long last, the tunnel reached its apparent end in a shallow den, and Edward led Noel to the back wall, to a slender fissure, barely visible in the weathered rock face until the two were right upon it. The crack extended from floor to ceiling and was no more than a few inches wide at its largest opening, but the old man handed over the light and, while Noel was sufficiently distracted by the curious orb of energy, Edward Frank stepped beyond, disappearing in a blink, as though the wall of stone was nothing more than a gentle waterfall or a thin drape. Noel reached out a hand, expecting to find the wall was some sort of illusion, but his palm met with the solid chill of stone. He pressed against it, digging his fingers into the crevasse, but there was no hint of any movement in the rock, let alone any opening into whatever lie beyond. “Master Frank?” he said, concerned. Noel hesitated, scowling half at the wall, half at his own lack of ability or understanding. “I cannot,” he answered, rubbing his hand over the back of his head in frustration, thinking perhaps it was because he was not one of the mountain people. Noel shook his head, looking back over his shoulder at the empty path behind him. “Walk through,” he repeated, then grunted at his self-doubt. “Simple,” he muttered as he closed his eyes, gritted his teeth, and reached out his free hand once more, fully expecting to feel the rock before him. But he was startled when his hand met the familiar, soft warmth of a wooden door frame, and stepping forward, Noel opened his eyes to find himself transported. “Remarkable,” he whispered, staring around the room, a stark contrast to the dismal tunnel that engulfed him only a moment before. In fact, this place was a stark contrast to everything he had seen since he first set foot in the mountain. The room was bathed in amber light emanating from the stone hearth, where a fire greeted him with snaps and pops, like the laughter of a childhood friend. The air tasted of mulled wine, ancient paper and a hint of peppery tobacco. A leather couch, aged with the ghostly outlines of many a thorough kip, beckoned to Noel, its cozy woolen blanket, which looked like it had been plucked from the back of some grandmother’s chair while she was off in the kitchen tending a pie, lay sighing across the back, hinting at the hope of simpler times and sweeter dreams ahead. A large oak desk, cluttered with parchments and tomes that spilled out onto the surrounding floor, stood in one corner, indicating a serious study had recently been undertaken. Master Frank headed there now, mumbling to himself, as he began shifting the papers in search of something. Noel was immediately drawn to the enormous winding staircase that grew up out of the belly of the room. “Where we are?” he asked, as he craned his neck up in amazement. Branch after branch of walkway stretched out from this central column, accessing so many stories of the highly polished mahogany shelves that formed the walls that they seemed to converge high in the distance, never quite ending. Noel looked back at the old man, perplexed by this explanation, but was immediately distracted by a familiar token of his youth, on one of the shelves nearby, and headed that way. “I had a spyglass just like this, when I was a lad,” he laughed, as he hurried over to see the red enameled telescope, stood on proud display, fully extended in its wooden stand. “Language, Noel Loveridge,” the Mardraim reminded, glancing up as Noel tucked the ball of light in the sleeve pocket of his borrowed smock and lifted the device from its cradle. “When I was boy, I had,” he answered in broken Elvish, turning the scope over in his hands. Edward Frank shook his head. “I do not believe so, Ohamet. Look through.” He pointed up at the ceiling. Noel brought the spyglass to his eye, and angled it up, expecting to find the ceiling in the distance, but immediately yelped, fumbling and nearly dropping the toy on the floor. “It was …!” he stammered, lifting the scope to his eye again, pulling it away once more, while Edward Frank chuckled at his absurd dance. “I see …!” But he did not have the words in the old language to explain what he saw, so he only gave a low whistle, while Edward, smiling gaily, returned to his search. “You did not have one like this?” the old man asked, still clearly amused at Noel’s expense. “No. No, I did not,” Noel answered, looking into the eyepiece again, turning slowly on his heels, gasping slightly every time a distant star jumped into volcanic focus, and only stopping, whispering an awestruck, “Wow,” when the surface of a planet, he was fairly certain was Saturn, came into startling view. It was nothing like the Saturn he had learned about in his childhood studies— small, black and white, and rather difficult to imagine as another world, floating out there in the vast emptiness of space, waiting to be explored in its all its two-dimensional glory. Noel may as well have stood perched on the edge of one of the giant’s rings. He could even hear the wailing melody of her body turning beneath him. “What Fahmat?” he asked, spinning on the spot once more, in awe of every star that came into view as it was revealed to him. A fellow like Galileo might have given his right arm to see this. “The device was created by the Cho, as you are likely aware. The improvements are the work of the Ikath,” Edward answered, finding his search of the desktop fruitless and shifting a large pile of parchments on the floor with his foot before starting in on the drawers in the cabinets behind him. Noel might have spent all day tinkering with the telescope, but he suspected the Mardraim’s hideout was full of such treasures, and eager to explore, he rested the spyglass back in its cradle and started down the row of shelves, to see what else he might find. “So much things,” he said as he picked up an old fashioned egg beater, turning it over in his hands with care, searching for any outward hint of modification. It looked like an ordinary household tool, but he was cautious not to touch the crank, just in case. “The Felimi said… you come to… safety your people. What from?” Noel frowned, then raised his brow as he stopped in front of an old UP-3 rocket from the deadliest war of men to date. Mankind had been warring almost nonstop ever since the Fall. Periodically, the gods tried to dissuade them, handing them ever more rules to follow in the hope of changing them, promising them greater and greater reward for their compliance, but everyone knew how gods were. It always went rather poorly. Considering the telescope, Noel hated to think what enhancements might have been made to the ordinance and was curious if Master Frank had any idea what the thing was just lying there in the open for anyone to tinker with, even if it was tucked away in some secret wizarding nowhere. It wasn’t difficult to imagine the many reasons why the munition might have been kept, but the mountain people claimed to be peaceful. He supposed the rocket might be a dud, but he sincerely doubted it and gave anxious swallow as he considered what might happen to the mountain if the nowhere accidentally exploded. “Old records lost?” Noel asked. Though they went into hiding, the fact these people knew ancient languages and practiced the magic of other races meant they had some mutually beneficial relationship with the rest of the world prior to going into hiding. Meanwhile, plenty of prophecies were common knowledge beyond the mountain, even though no one had met a true seer in a terribly long time, so clearly they had not always protected what they foresaw. It seemed to Noel that keeping records of the prophecies would have made the mountain people a greater target to anyone seeking foreknowledge—to people like himself, who would do anything to know the truth. It did not make sense. “Living record?” As he watched Edward rifling through the contents of a drawer, he wondered if it was the Fall that drove the Knowledge Keepers to the shelter of the mountain. Perhaps they had seen what the world would become and tried to outrun fate. This certainly sounded to Noel very much like the sort of curse Fate brought down on the rest of the world at the Fall. It might even explain why the Mardraim began this collection, yet it did not explain the need for keeping it hidden from the great mothers. He suspected the Mardraim at the time was bothered by the changes in their laws as the Felimi tried to remain in power, but he knew better than to suggest it. No sense insulting the one person who might be on his side, even if Edward Frank’s reasons were self-serving. “You leave mountain, Master Frank?” he asked instead, as he came around the far side of the staircase, running his fingers over a model of an airplane that was so realistic, it very well may have been real one shrunken down, the way Noel shrunk things to fit inside his rucksack. 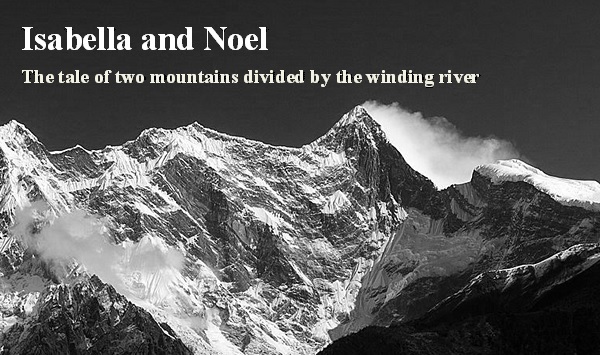 They took to the stairs, and with each step Noel grew ever more amazed by the things the mountain people had managed to collect through the years, as the two passed branch after branch of examples of mankind’s most useful creations. Occasionally, he caught glimpse of a doorway set into the shelves, which led off into larger chambers, giving the impression the collection rivaled those of some of the world’s greatest museums. But as fascinating as it was to consider the vast effort undertaken in the gathering so much of the magic of man in one place, Noel was truly stunned by the sheer volume of books that came once man’s creations were exhausted. There must have been millions of texts climbing the walls, spilling over into vaults with row upon row of bookcases, and it dawned on Noel, as they climbed, that the Mardraim through the ages had likely collected every work of magic of all the five races. The value of that library could be matched by nothing else on earth. There were people in the world who would have murdered their own children to get their hands on only a single book. The further they climbed, the more frightened Noel became at the idea that such a place should ever exist. It was far too dangerous. When they came to a branch that contained only a few shelves of books, Noel paused, and Edward Frank, sensing he had stopped, offered an answer to his unspoken question. “These are the books of the Ptalmet,” the elder said. Most beasts had died off ages ago, and those that were left had gone into hiding too, only surfacing to wreak havoc, destroy and thieve. “No one meets a dragon,” he answered earnestly. It was a well known fact that few who crossed paths with a dragon ever lived to tell the tale. “But when the draka sings, the whole world stops to listen,” Edward smiled as Noel looked up over the center railing to see if they were any nearer to the top. Startled by this revelation, he turned to face Edward. “You hear dragon song?” If there was one thing everyone in the world, no matter their race or their power, agreed upon, it was to steer well clear of the lands of the dragons, but Edward spoke of them with admiration. There was a time when their kind thought to burn the whole world, and they nearly did. Luckily, the rest of the world was willing to get its act together and put a stop to it before it was too late. Thanks to those who laid down their lives restoring the natural order of things, these days the dragons mostly burned each other, if there was any truth to the stories Noel had heard. Who cared if they had nice singing voices? “The Ken need much words.” Noel offered, aware his legs were beginning to get tired as they continued up. It seemed to Noel the mountain people were all about understanding in principle, but in practice they were something quite different—oblivious, perhaps. Though they did not share the prophecies they saw, they still wanted to know the way of their god Om for all people, drinking the water they thought somehow gave them a greater connection with this source of their magic. Though they allegedly came to the mountain to protect themselves and prophecy from the rest of the world, they continued to send their leaders out into the world to learn new magic, then horded it away here in these books rather than sharing it with everyone. It was already clear to Noel that empathy did not equal compassion, but even so, their actions made little sense. What were the Felimi seeking in the prophecies, since they were not seeking to help anyone but themselves? Why, if they wanted to avoid the rest of the world and were content to live this simple life of seclusion, would the abilities of the other races matter so much to them that they would continue to send their people out to learn? “You say you no leave mountain so much now. Why?” Noel asked, wondering if this was an instruction from the Felimi too. Noel was actually breathing heavily when the staircase finally ended and he and the elder crossed the final walkway to stand before a rather unassuming door, plain, with the exception of the small engravings inscribed on its wooden frame. They were wards, like those protecting the judgment chamber of the Felimi, though there were fewer here. Key in hand, Edward reached out for the keyhole tucked beneath the wooden knob, but he stopped short and turned to Noel, his wise eyes holding him in a solemn gaze. Noel swallowed anxiously, seeing the worried look in the old man’s eyes. After all that climb, that Edward did not just open the door, was disconcerting, but he supposed the old man must be searching for something within Noel himself, making certain this was the right thing. He had ruined it all, he thought, with ideas of taking those books back to his people. He just couldn’t help being greedy. Damn empathy. He squeezed his jaw tight. That was it, Noel thought, shaking his head. He had climbed six million steps just to stand there and be let down. “You trust me?” Noel asked, surprised. Now he rubbed at the tips of his fingers, realizing if they were going inside, he would likely lose his sense of the companion he carried with him through the mountain and all that way, both grateful for the opportunity of some relief from her and at the same time strangely reluctant to let her go. “I do,” Edward Frank answered, eyes grave. “I tell no one,” Noel said, with a respectful nod, placing his hand to his chest in promise. And he meant it, perhaps more than he had ever meant any vow, even his vow to the Last Hope of the Elves. With that promise, Edward stuck the key in the lock and gave it a simple turn. Though the lock gave way with an unceremonious click, in that moment Noel’s chest thundered, as though the it made a clamorous racket, like the heavy door to the Felimi’s chamber where they held Fkat. As Master Frank turned the knob and led the way into the tiny attic of a room, Noel realized his exhilaration was not down to finding out how to undo Isabella’s possession of him or even at the idea of learning what his own people had lost so long ago. Edward, the empath, understood him and trusted him. Noel knew no matter what happened, beyond any doubt, he would never tell anyone else about that room or what was inside, for no other reason than the fact he had the old man’s trust. Like most other places in the mountain, this chamber was sparsely furnished. A small table and stool, equipped with a candlestick for study, took up the heart of the room. Several stacks of weathered books with crumbling spines and cobwebs for covers, stood sentry against the left wall, though Noel could tell from the crushed look of the webs and smudging of their coats of dust, they had been recently disturbed. There were even fewer books than those of the beasts. “Like the Llendir, my people have not created new Fahmat in the years since this collection of greater and lesser talents of the Children of Danguin was begun here in secret, more than eleven thousand years ago,” the elder said, hands folded before him as he watched Noel looking around, slightly underwhelmed, but at the old man’s words, Noel perked up. “I do not know why,” the elder shook his head. “I only know that, like your people, ours have lost a great deal of our abilities in the time since the collection was begun. Admittedly, our Fahmat has always been less diverse than that of the other races, however we were once much more than the Seers and Empaths we are today. Long ago, there were those among us who could train their minds to hear the thoughts of others. Still more could see the boundaries of the soul and detect and heal the illnesses of the spirit. Even I, in another life, could travel to distant lands on a single current of thought, visiting with my brothers and sisters half the world away.” He smiled, his gaze drifting off, as though remembering. “What matters is that when you came to our home, and Young Isabella was lost, we found no information about the existence of Moag in all of our records, not even in this place. When the Felimi told us of the boy, Eri, who entered the forbidden tunnels long ago, we found no book of prophecy for him or for the Mardraim of the time, who allegedly lost his life attempting to save the boy from Om’s reflection. It was as though neither of them ever existed, not even in another life, though they each must have been born many times. I did not understand, but I believed, as my omdrella Young Harvey told us, that you would change everything, when change is the one thing all Mdrai have been taught, lifetime after lifetime, to guard our people against. When our search of the Hall of Records was exhausted, I came here, trusting the answers would surely be recorded here, hoping to find anything that might help me save Young Isabella and restore Om’s way. All I found was a small note in this book, which I believe was written by the missing Mardraim, whom someone made a great deal of effort to expunge from all record.” He opened the book and pointed to the page, where an inscription was tucked in the upper left corner, under the folded edge. Noel furrowed his brow, rubbing his fingers, though Isabella was not there. “How to stop?” Noel interjected. It was not that he was not grateful, if this was in fact how Isabella saved his life and how the two of them had managed to survive Moag, but she was a distraction he did not need at the moment. There was a lot he had to learn while here, and he worried the pull of Isabella could stand in his way. Sometimes he felt more of her than others, especially when she was experiencing intense emotion. Other times, she was little more than a niggling itch that never subsided, except in places like this one, where the inscriptions warded her off completely. It was curious that she had been strangely silent the whole way there, even while Noel was thinking of her. “I suspect this was one reason such Fahmat was forbidden by the Felimi long ago,” the elder answered grimly. “I am sorry, but possession cannot be undone, Young Noel, only guarded against, though it is too late to protect you. You are Young Isabella’s possession now, and will remain so, I am afraid, until you one day pass into the current of Om or Moag, whichever way you will go. I am curious which of the protections has the effect of keeping her out of this place. Once she is better, we can write these inscriptions around the door to my home, so you may rest more easily. Perhaps we will write them around her own door as well, however, I must make certain this will not do her more injury. However, this is not the reason I brought you here. In time, you will learn our language from Young Harvey and will read this book. You might uncover something I missed that can help you. With that, he pressed the key to the secret room into Noel’s hand. “Do you not understand, Noel Loveridge? You are,” Edward Frank said calmly, “the future Mardraim of the Children of Danguin. My secrets are yours.” And he placed his hands at his chest, as though he were a child in prayer, and bowed his head to Noel.